Sony unveiled its flagship smartphone lineup for 2015, and instead of the two variants that most were expecting, we got three - the Sony Xperia Z5, the Sony Xperia Z5 Compact, and the Sony Xperia Z5 Premium. 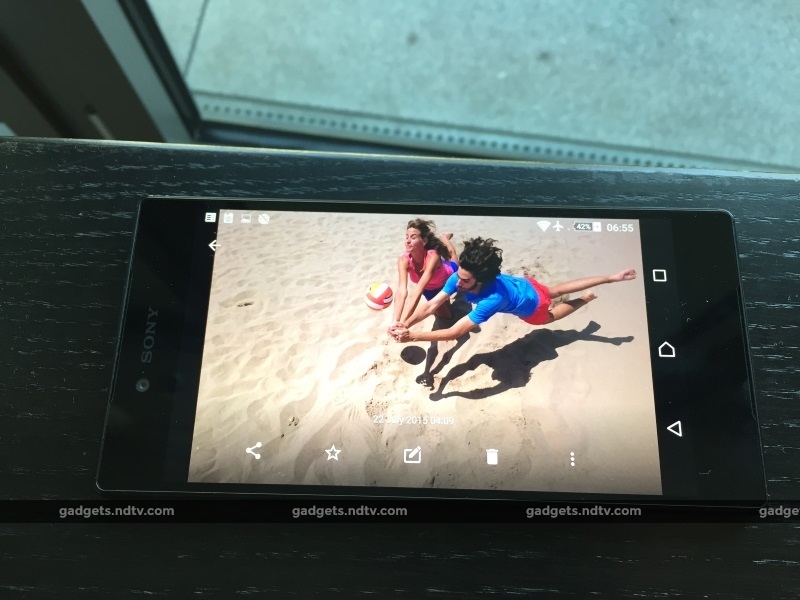 At the pre-IFA launch event in Berlin on Wednesday, the Xperia Z5 Premium was mentioned almost as an afterthought as Sony President and CEO Kazuo Hirai took time to walk through the features of the Sony Xperia Z5 and its smaller sibling, the Z5 Compact. However, it was the Premium that grabbed most of the headlines for being the first smartphone with a 4K display. While we've seen the emergence of 2K displays on smartphones, most people we know are happy with full-HD resolution. In fact, the iPhone 6 isn't even full-HD and still we've yet to come across average users who say that it has a "low resolution" screen. In that context, is the Sony Xperia Z5 Premium a concept more than anything else? Is it an attempt by Sony to push the boundaries of what's possible and remind everyone that there's plenty of innovation left in the old warhorse? While company representatives wouldn't directly comment on the subject, reading between the lines suggests that is at least part of the motivation. "I believe there is still great potential for innovation within consumer electronics. At Sony we'll continue to make advances that make your life better and to provide you with wow experiences," Hirai said as part of a statement released to the media. And the Premium certainly lives up to the hype. We spent around 24 hours with the Xperia Z5 Premium and Xperia Z5 before the launch event, and a few minutes with the Xperia Z5 Compact at the demo area at the launch venue. Apart from the screen size and resolution, the three phones are practically identical, and apart from a few niggles - some of which can be attributed to the fact that what we received were pre-release units - they represent a package with plenty of potential. 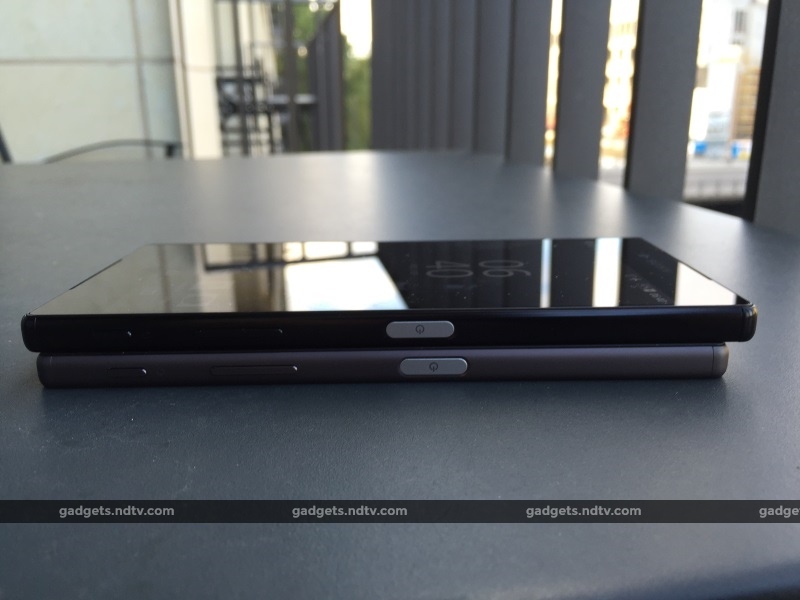 There's no doubt that the screen on the Sony Xperia Z5 Premium is stunning. At over 800 pixels per inch, the display is obviously the highest resolution yet, but in terms of everyday use, most would be hardpressed to spot any noticeable improvement in terms of density compared to, say, the display on the Samsung Galaxy S6. 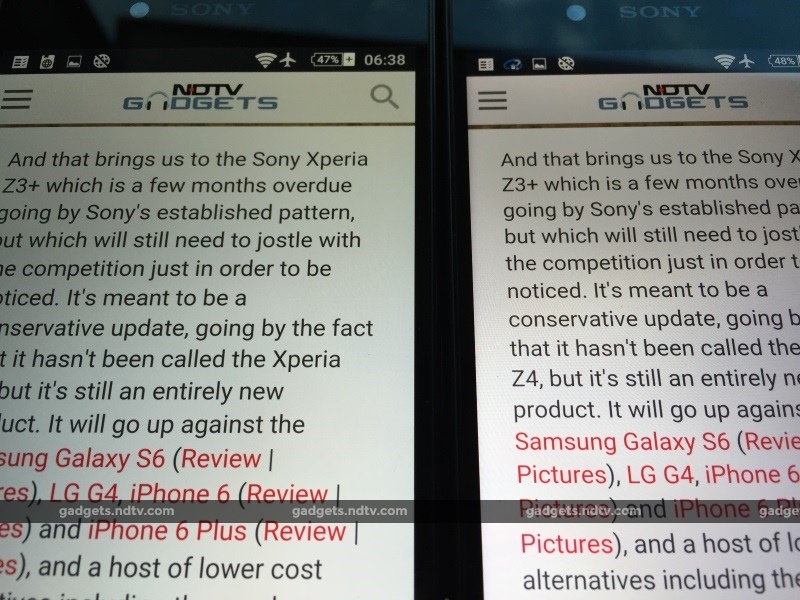 In fact, apart from the occasion when we had both smartphones under the lens in side-by-side comparisons, we didn't spot a significant difference between the Z5 Premium and the Sony Xperia Z5, which has a 'paltry' full-HD display. 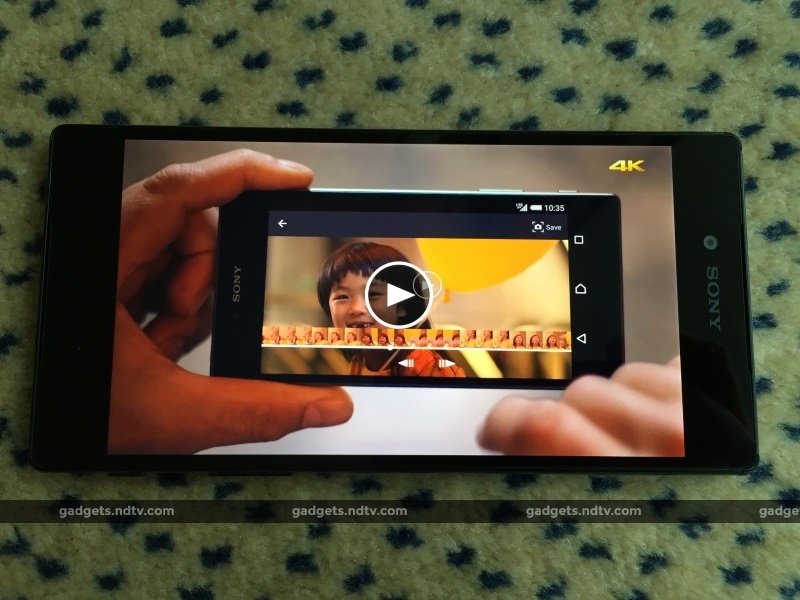 The Xperia Z5 Compact has a smaller display and a lower resolution 720p panel. Sony Xperia Z5 Premium (left) and Sony Xperia Z5. The headline feature of the new Xperia Z5 series of smartphones is of course the rear camera. The three phones come with 1/2.3 Exmor RS for mobile 23-megapixel sensor and f/2.0 G lens. Sony claims to have designed the camera inside its new flagships using the same technology that's seen in its Alpha range of interchangeable lens cameras. The camera also boasts of the "fastest autofocus in a smartphone" - at 0.037 seconds - and while we couldn't do any side-by-side comparisons with other smartphones during our time with the devices, the camera certainly felt fast enough for most everyday occasions. One area where we definitely spotted significant improvements is image stabilisation, or SteadyShot as Sony likes to call it. The Xperia Z5 and Xperia Z5 Premium were able to reduce a large part of the jerkiness that comes when you shoot a video while walking, which is an extremely welcome addition. Sony is also claiming improvements in low-light performance of the camera, a claim we will put to test as part of our detailed review at a later stage. From whatever little we've seen so far, the camera inside the new Xperia Z5 series of phones has the potential to compete with - if not better - the best in business. The other big new feature is addition of a fingerprint scanner, something which people have come to expect from a flagship device. We've seen fingerprint scanners integrated into home buttons (usually work well) and we've come across fingerprint scanners at back of the device (most with disastrous results), and now we have a fingerprint scanner integrated on to the side. Sony seems to have got the hardware and software implementation done just right, as the feature worked as advertised in the time we spent with the devices. Our biggest concern comes from the fact that the phones use the Qualcomm Snapdragon 810 chipset, which has been in the news for all the wrong reasons, especially due to its heating issues. In fact, during the brief time that we spent with the device, we got the overheating warning on a couple of occasions when we were shooting 4K video. Granted, we were outdoor on a hot (by European standards) day, but we should still be able to shoot more than a couple of minutes of videos before running into such problems. A Sony representative said the company is aware of these problems and reminded us of the pre-release nature of the unit we'd received. In fact, we were assured that these concerns had been addressed in newer builds and this shouldn't be a problem with units that customers will receive. We can only hope that's indeed the case. Battery life of the Z5 Premium especially will be under the scanner, given the high resolution display that it needs to power. Sony Xperia Z5 and Xperia Z5 Compact will launch globally from October 2015, and Xperia Z5 Premium will hit the markets in November 2015. 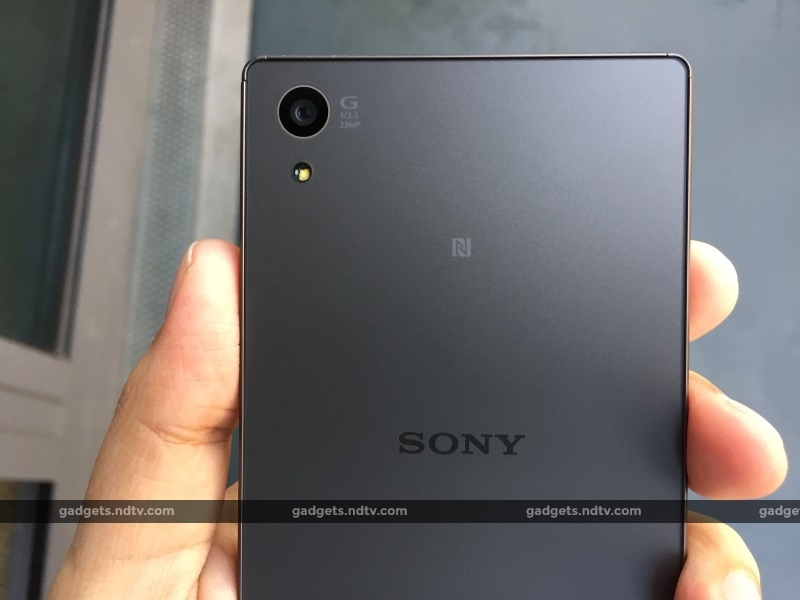 The Sony Xperia Z5 and Sony Xperia Z5 Premium will be available in both single SIM and dual SIM variants, with India expected to get the dual SIM models of the phones sometime before Diwali. 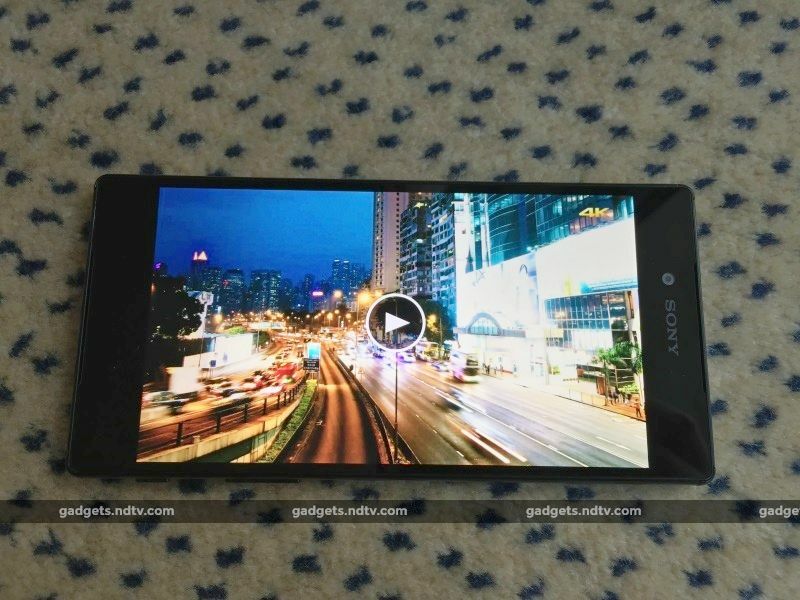 The way things stand at the moment, the Xperia Z5 Compact is unlikely to come to the Indian shores, though that may change in the future. Prices for individual markets will be shared closer to launch. Disclosure: Sony sponsored the correspondent's flights and hotel for the launch event in Berlin. product The three phones are practically identical, and apart from a few niggles they represent a package with plenty of potential.